Abnorm has always gone against the tide in his approach to hip-hop. Where your ordinary rapper spends half his verse blasting imaginary haters and the other bragging about his questionable pen skills Abnorm often deals with abstract themes which is quite refreshing. 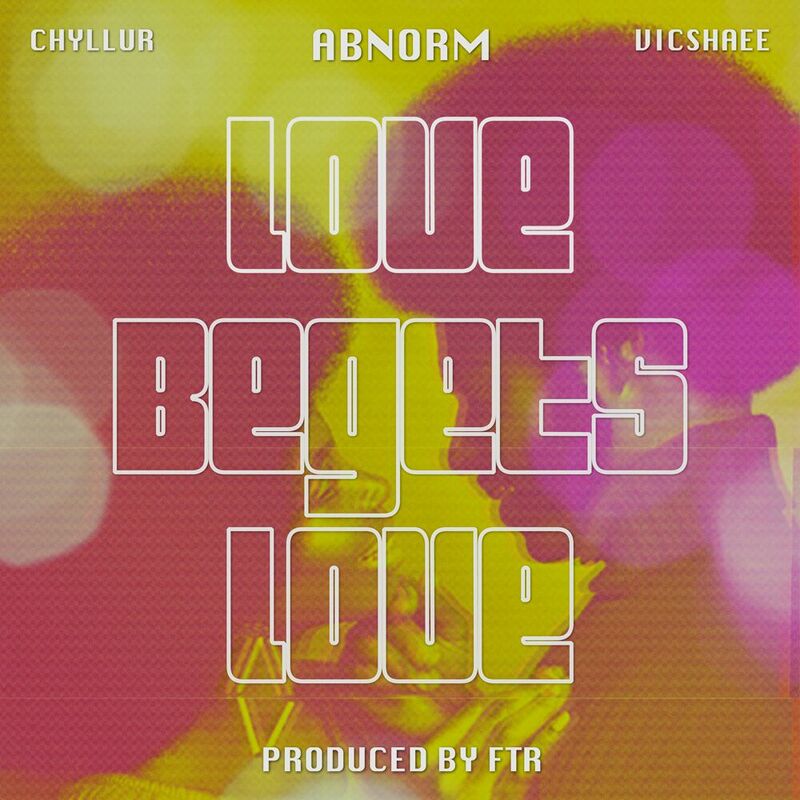 On this FTR produced joint he goes Drake on us switching between raps and croons to hammer home that #LoveBegetsLove. He gets help from the sultry Vicshae and Chylllur on the chorus.The beat is nice and laid back and the trio doesn't disappoint flowing effortlessly on the smooth Ftr instrumental. The lyricism is what one would expect from a love joint. Metaphors and wordplay are scarce but rather than make the song disappointing the simplicity may actually appeal to a wider audience. 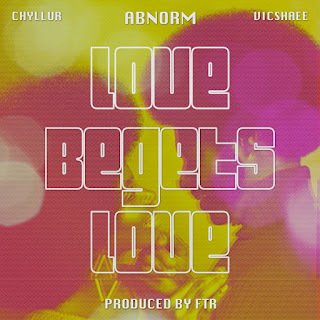 The whole song is based on the premise that if one offers love wholeheartedly without an iota of hate that untainted love will find its way back to him hence the title "Love Begets Love". Fans of street raps will find this offering a tad too soft which is not a bad thing though. Backpack fans and the ladies will have this on repeat and will be singing along to the chorus. All in all this song is refreshing and the chemistry between artists and producer makes it more enjoyable.